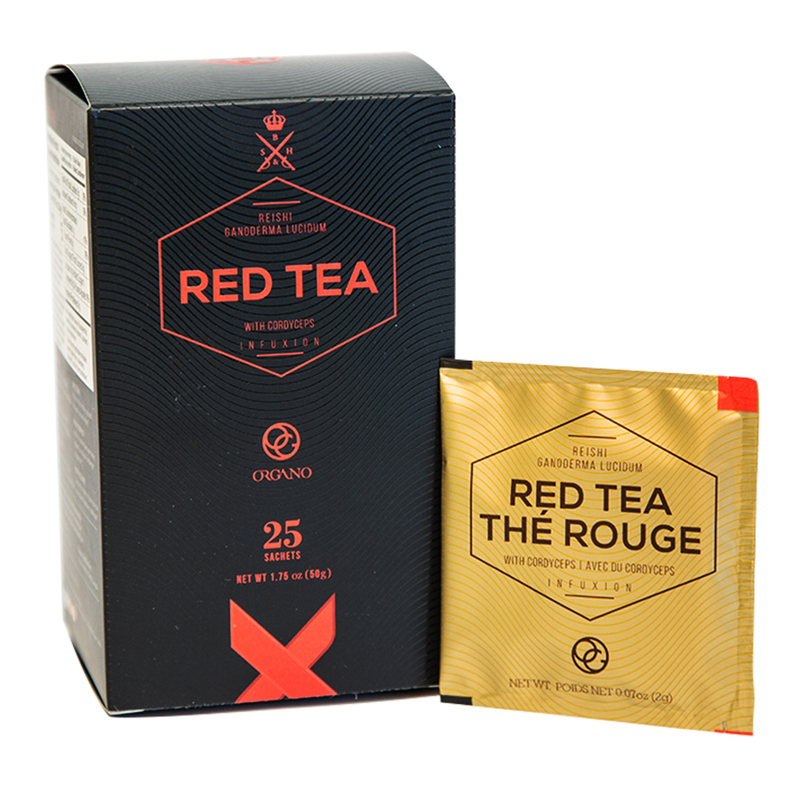 Organo™ Red Tea is a delicious tasting red tea combined with Cordyceps and Organic Ganoderma lucidum. Great for those watching their health, for athletes, and anyone that wants the great taste of this fresh and light tasting tea. 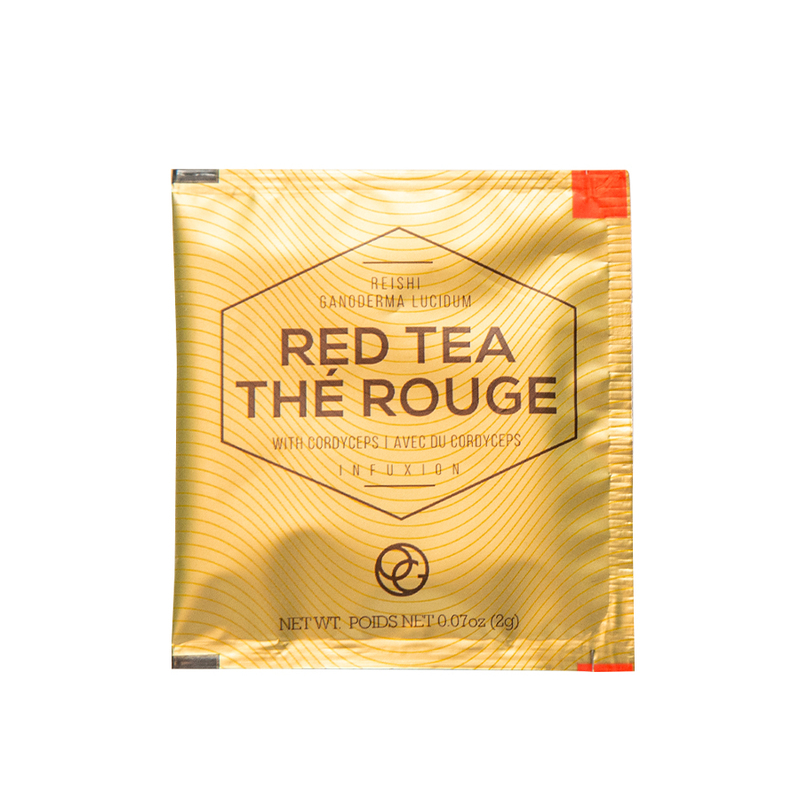 Organo™ Red Tea is a delicious tasting red tea combined with Cordyceps and Organic Ganoderma lucidum. 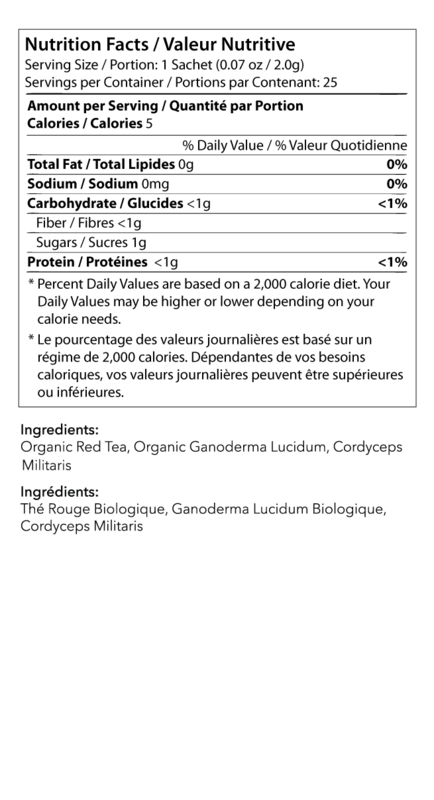 Great for anyone that wants the great taste and benefits of this fresh and light tasting tea. Cordyceps –grown in a mineral-rich soil at high altitudes and low temperatures and is a celebrated mushroom used for centuries in traditional Chinese culture. 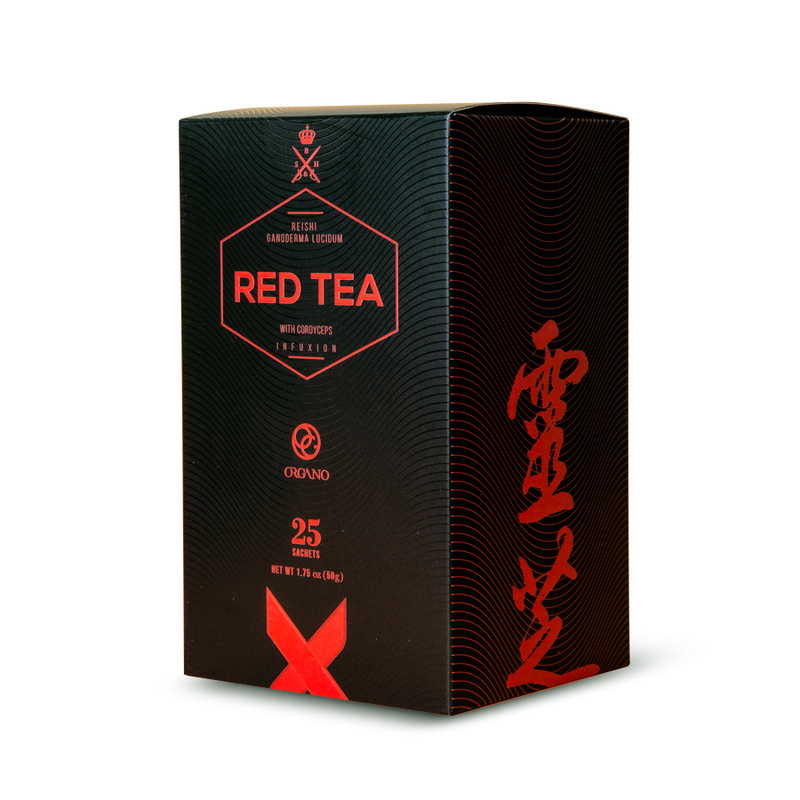 Ganoderma lucidum– also known as the red Reishi mushroom, this mild flavor adds a note of depth to the tea flavor and brings its own benefits. Ganoderma mushrooms provide triterpenoids and amino acids. Ganoderma mushrooms are ‘adaptogens’. Place the tea bag at the bottom of the cup and pour the hot water on top to your desired level. Freshly boiled water, rested for a 2-3 minutes so the temperature drops to 140-185°F (60-85°C), is the ideal heat for when you pour. Make your own flavors by adding ginger, honey, sugar, or cream. Chill and serve cold over ice with fresh mint or lemon.